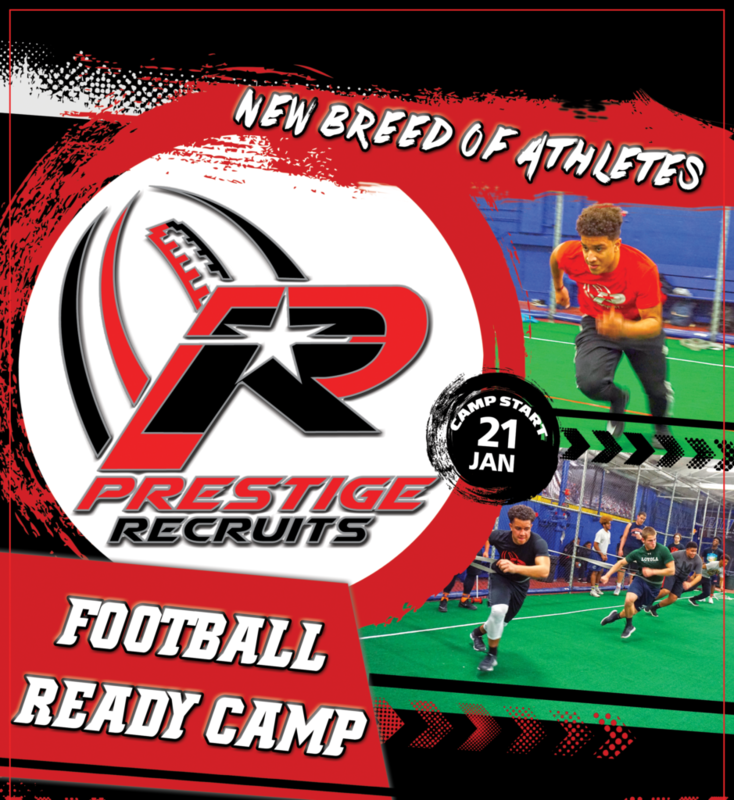 Prestige Recruits “Football Ready Camp series is a training program designed to progressively prepare athletes for peak performance leading into their season. 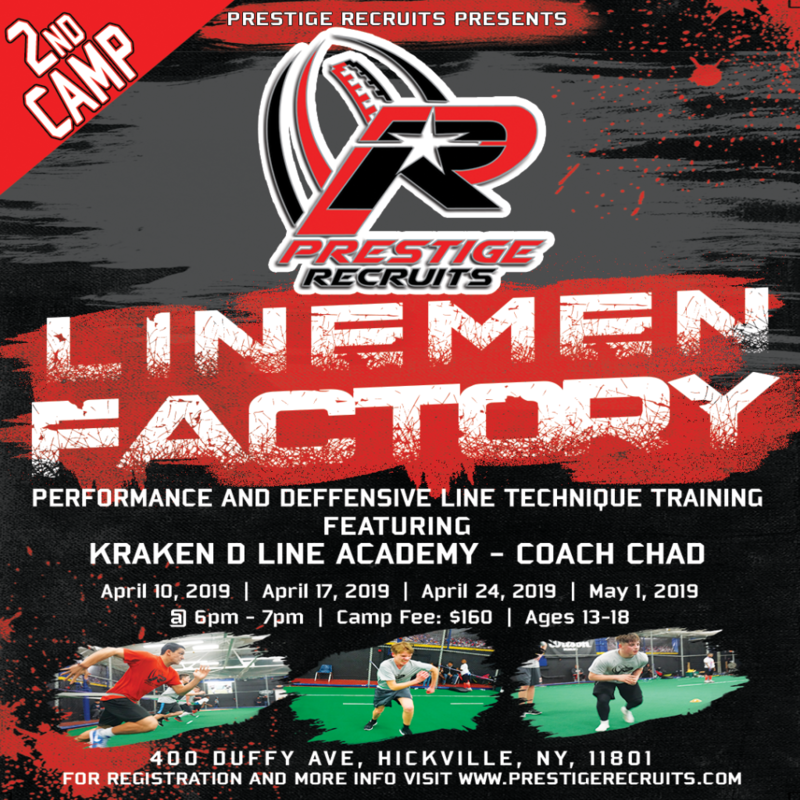 This program focuses on the total development of an elite athlete using advanced speed and agility dynamic training, pro weight lifting regimen and custom meal plans for optimal gains. ©2019 PrestigeRecruits.com All rights reserved.